Times are tough on Worth Row -- no one seems to want antiques these days, and that's all the twelve shops on the Row have to offer. But this is not to say that it is by any means quiet on the Row, a place where bathtubs double as lawn furniture and glass eyeballs seem to grow in every yard. Just for starters, Carl the cabinet maker is secretly building a 34-foot sailboat out of (and inside) his house to prove his love for his neighbor, Nadine, and Mazelle and Mr. Haygood are carrying on a now 30-year-old affair in the hideaway 6 feet under the garden their spouses have been tending for as long. Not to mention that Aura's about to find out that the father and sister she never knew she had live on the Row AND she's about to give birth, though she doesn't even know she's pregnant. Verda doesn't answer her door because she's dying on the floor just inside. Effie thinks she's got a handle on the whole thing, keeping a minute-by-minute journal of her neighbors' actions and interactions, applying her own particular interpretation to every move they make, but Howard Dog-in-his-Path is the one who really holds the Row's secrets, though his 30-year silence hasn't come cheaply. There's also the dog Himself, whose brilliantly rendered dog's-eye view easily makes him one of the best-drawn dogs in literature. Then the storm strikes, cutting a wide path of havoc and sending Row residents running under bathtubs and into under-garden hideaways. This is just what Worth Row need to clear up the mess they were in! When the dust and smoke finally clear, the Row has been turned upside down, and is righted at last. Critically-acclaimed author Joe Coomer has been called "a marvelously creative comic writer" by The Washington Times and "blessed with a rich, Southern voice--strong, clear and full of poetry" by Susan Isaacs. 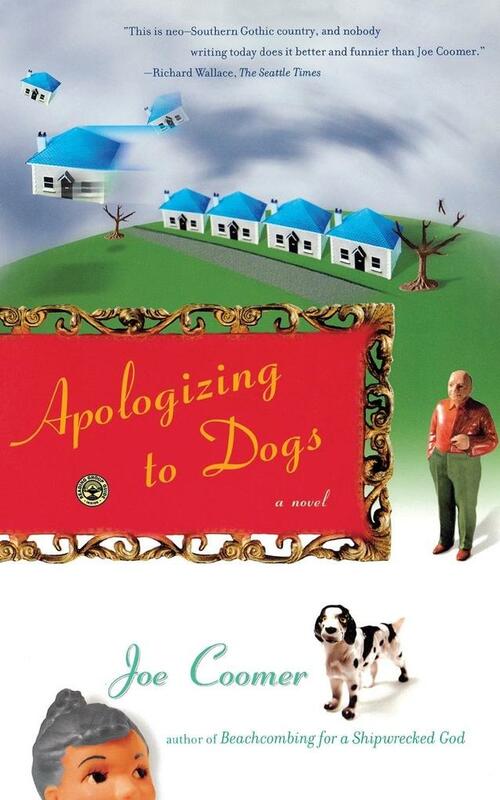 Heartwarming, hilarious, and utterly human, Apologizing to Dogs is perhaps his best effort yet.